Why the split group pane? The group view is now split into two panes. 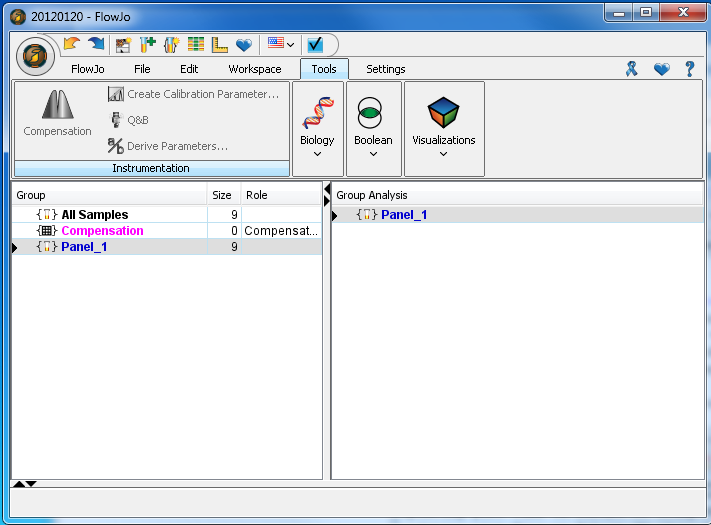 The left pane has the same functionality as in previous versions of FlowJo. 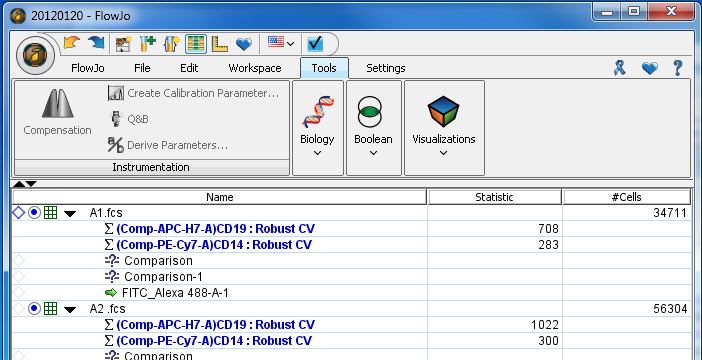 It lists all the groups, their count of samples, and any nodes attached to the group level. Addition of the right-side split pane was prompted by complex workspaces, where navigating contents of a complex group was hindered by the constant scrolling. In this new model, the right pane shows the group selected on the left pane in order to completely show the analysis for the group. There are two default groups in the Workspace: All Samples and Compensation. The all samples group will always contain all samples that have been added to the workspace. The compensation group will populate with compensation controls that are added to the workspace. To learn more about the creation and use of groups, go here.